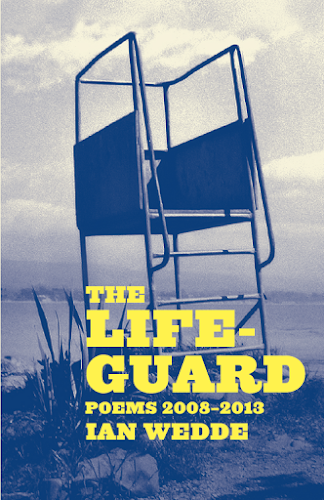 Finally the poems in The Lifeguard (including the ‘Shadow Stands Up’ sequence) have left their uncertain drafts behind and entered the world for better or worse in the book published by Auckland University Press and launched on a drizzly Thursday evening last week at Alleluja Cafe on K Road in Auckland. Now what you will read below isn’t provisional any more. At such moments I get postpartum blues. I don’t believe the book’s any good. I suspect that people who say they like it are being kind. Worse, I can’t work up the nerve to write something new. I tidy up my workplace. I go shopping but realise when I get home with it that my new shirt is wrong, wrong, wrong. I cook over-elaborate dinners for six when there are two of us at the table. I open another bottle of wine. Fortunately, Alleluja Cafe has ways of making you get over it. Most Thursday evenings at about 5pm there’s a happily voluble conversation club that meets for coffee and snacks at tables pushed together down the street end. So the book launches take place in a comfortingly immersive babble of talk. Last year, Anne Kennedy’s wonderful book The Darling North was launched there without microphones for the speakers, who were inaudible to all but those craning forward in the front row. This year there were mikes, so the speakers could be heard, but within the cheerful ambient sound-scape of the conversation club and its clattering cups and plates. This enhanced the occasion’s sense of fun, even if only as the result of something like canned laughter at a stand-up comedy routine. Then, there’s the grove of potted palms in the middle of the cafe. The book-launch snacks were on a table on one side of the palms, with most of the guests and access to the drinks. By accident, I ended up on the other side of the palms, with some members of my family and a couple of friends. Thus, I had no reason to suspect that people were being nice to me, since for the most part I couldn’t see or hear them. However, I could see and hear the people who spoke at the launch: Sam Elworthy, Director at Auckland University Press; Chris Szekely, the Chief Librarian at the Alexander Turnbull Library; and Anne Kennedy. Not far from Sam’s ebullient nexus are the press’s editor, Anna Hodge, its designer Katrina Duncan, its publicist Christine O’Brien, and its assistant editor Poppy Haynes. Close, too, is the book’s cover designer (and photographer) Philip Kelly. These people aren’t just nice, they ask hard questions, which is good for those blues. Chris Szekely represents the extraordinary institutional support provided by the National Library through its poet laureate programme and therefore to this book; within this span of support are two very special people: Peter Ireland, who is the always patient and courteous contact in Wellington; and Reuben Schrader, who looks after this blog. They’re not just being nice, either – they care. I am very lucky indeed to have worked with them all. Then there’s Anne Kennedy, whose work I greatly admire and who agreed to say a few words about The Lifeguard. Anne’s writing is at once lucid and elusive – what she perceives with great clarity is likely to be a detail most of us will miss. Thus it was that she noticed there are quite a lot of bees in ‘The Lifeguard’ sequence of the book. I hadn’t noticed this, and (prompted by Anne) I’d like to be able to claim it connects somehow with Virgil’s Georgics IV and the story of the dying bees of Aristaeus... but I can claim no such thing. What happened, though, was that I later opened the book again for a quick look at the bees, and found I already felt better about the poems because there was stuff in them I didn’t know about – the stuff that comes from readers, not from me. I might eventually hear something. with wine and food on it. or from the cat that basks there. lost we are without you? you’re not going to believe that. I love this poem. O wow. Thank you.